Combine brewed coffee and sweetened condensed milk in a large pitcher. 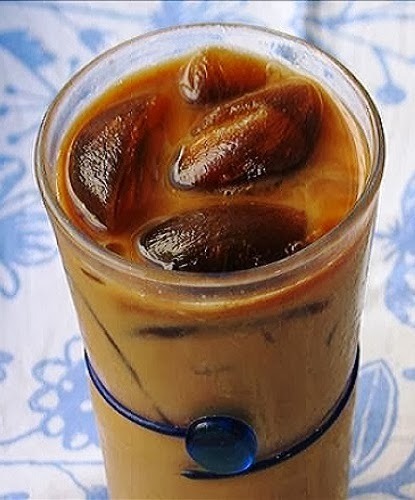 TIP- Use leftover coffee to make coffee ice cubes with. Then you have the chill without getting watered down.